Our goal is to offer respectful services that reflect the life of the individual and honor the wishes of each family. We encourage the family of the deceased to participate in the planning of the service as little or as much as they choose. 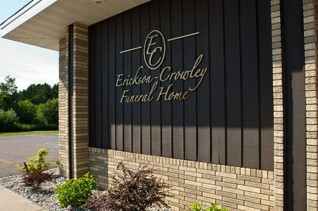 We offer a full line of traditional funeral services. They are typically held at our funeral home or a church; however, services can be also be held at the home or wherever the family instructs us. 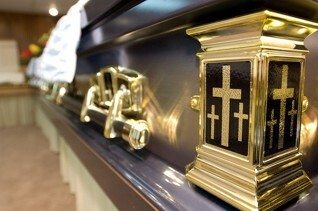 Cremation services are also available; these include a simple cremation casket that give the family final closure. These services can also include a public or private family visitation with clergy present. We offer a full line of cremation urns for burial, scattering or for keeping at home as a permanent memorial. Pre-need services are available to those who wish to arrange a funeral now. Many choose this option to put money aside for a funeral, to make some of the decisions themselves, or simply to ease the burden of losing a loved one. Our ultimate goal at Erickson-Crowley-Peterson is to offer the services to you that you desire to have. Allow us to show you what's available and the costs involved to reflect distinguished personal services.